What other cards can Amex Business cardholders get? There has been a lot to digest about the new American Express sign-up bonus rules in the last few days. Apart from everything we have discussed so far – see here and here – there was something I missed. For one group of people, getting a new American Express sign-up bonus just got easier. These are people who currently have Amex Gold Business or Amex Platinum Business. Why is life easier for Amex Business cardholders? Under the old rules, all of the cards which offered Membership Rewards points (Green, Gold, Platinum, Gold Business, Platinum Business, Amex Rewards) were lumped together. If you had one of these cards, you couldn’t get a bonus on another one until you had cancelled it and waited six months. Under the new rules, this family has been broken up. Instead, two new families have been created between the personal American Express cards and the small business American Express cards. Let me explain what this means. 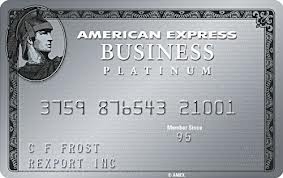 Under the old rules, if you had a Gold Business or Platinum Business Amex card, you were blocked from getting the sign-up bonus on a personal Gold, Green, Platinum or Amex Rewards card. The rule for personal Gold, personal Green and Amex Rewards now says “I understand I will not be eligible for the Welcome Bonus award if I hold or have held any personal American Express Card in the past 24 months”. There is no mention of small business cards. Similarly, the rule for personal Platinum now says “I understand I will not be eligible for any Welcome Bonus award if I hold or have held any personal Membership Rewards-enrolled American Express Cards in the past 24 months”. There is no mention of small business cards. Which means in plain English ….. This means that if you have Amex Gold Business or Amex Platinum Business, you can now apply for Preferred Rewards Gold, The (personal) Platinum Card or the Amex Rewards Credit Card. The only caveat is whatever other personal Amex cards you have had in the last 24 months. If you are an Amex Gold Business or Amex Platinum Business cardholder who has not held any personal Amex cards in the last 24 months, you can literally apply for any personal Amex card you want – immediately, with no need to close your Business card – and get the sign-up bonus. None of the bonus rules on personal cards make any reference to Small Business cards. You can learn more about Amex Gold Business in this HFP article. You can learn more about Amex Platinum Business in this article. You obviously need to meet the American Express definitions of having a qualifying small business before you can apply, but these are relatively generous. We ran article yesterday entitled “Should you leave American Express for 24 months until you can get a new sign-up bonus?“. Readers picked up on a couple of other issues to consider. I edited these into the main article early on Saturday morning but if you read it by email you will have missed them. “And you need an Amex to pay the taxes on your 2-4-1 tickets …. “Finally, do the Amex cashback offers have value to you? I have been trying to get my head round this, as I have a LTD company I am going to try and churn the gold card. Does the BA amex counts as a rewards card when I apply for my business gold in six times. The question is do I need to be clean of all my other amex cards, if I want to get a business gold card? Couldn’t work it out. Thank you for the help. No. Only a Gold/Plat/Green/Amex Rewards Credit Card counts. I am uhhming and ahhing about cancelling,as I expect to be able to earn one more Lloyds upgrade voucher this year, but I have minimal Avios at the moment and it’s obviously not valid long enough for cancelling now and earning sign-up bonuses in 24 months to be worthwhile. So I think at the moment I am better off hanging on to the PRG and trying to earn referral points, to get up to a worthwhile balance. I should probably cancel the free BA Amex, though. Can you be a little bit more specific regarding how the Clubcard points, through Tesco are earned? card, but this one doesn’t reference that restriction. Main review needs updating, sorry. Missed that line when I did the changes last week. Do you still get the first year free on the gold card? Does this mean they’ve created an incentive to churn just to avoid this fee? Agree with the strategy and the order, yes.